Coffee House Kayak Parking, Sean Stockburger. Photo provided by the City of Bellingham. View from Boulevard Park, David Veatch. Photo provided by the City of Bellingham. Vancouver with the San Juan Islands and Alaska. 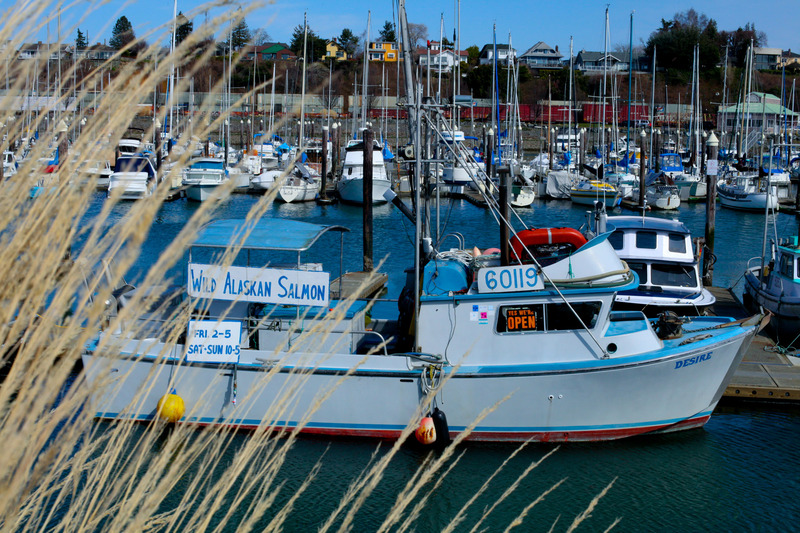 As a commerce hub for the region, this harbor town boasts a healthy economy, the gorgeous natural beauty the Pacific Northwest is known for, and some of the friendliest locals around. Bellingham combines local industry, the savvy of a college town, and a robust lifestyle dating back to 1852. The city is filled with magnificent scenery, a culture of outdoor recreation, Western Washington University, the Alaska Ferry, the Canadian border, Mt. Baker, the Salish Sea, local food, spirits, art and music. These are all part of the genuine Bellingham experience. A sleeper of a city set between the Cascades and the Pacific Ocean, Bellingham is the jumping-off point for two domestic must-dos: Mount Baker, one of the most accessible glacial climbs in the lower 48, and the San Juan Islands, an archipelago of 170 forested isles that offer some of the country’s best marine activities. 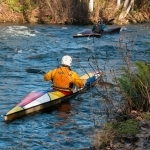 Canoeists and kayakers race across Lake Whatcom every evening of the summer and their access to stunning Bellingham Bay is getting easier, too, as the shoreline morphs from an industrial area into a sprawling green space. Inland, 15 percent of the sea-sprayed college town is set aside for parks, and when winter hits the 10,778-foot Mt. Baker is a bankable powder destination; in 1999, it set the standing world record for most snowfall ever in a single season at 95 feet. 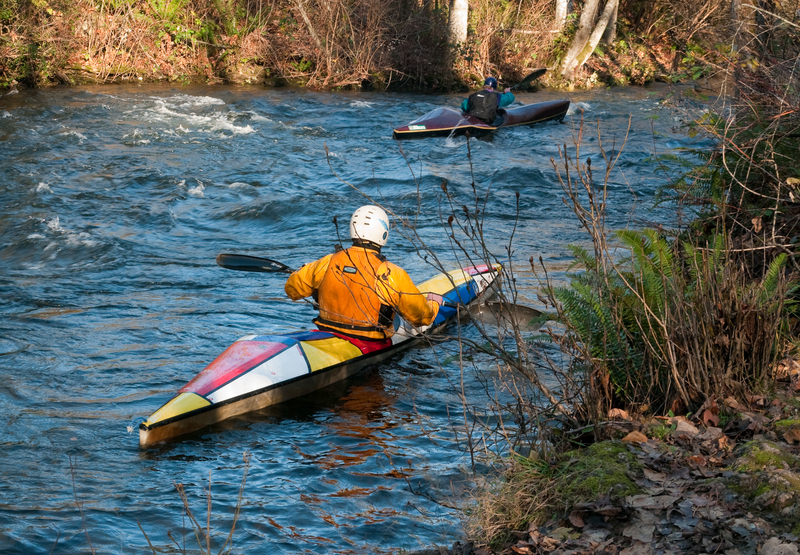 exemplified in one of Bellingham’s biggest events, Ski to Sea . Assembled teams from throughout the world trek here every Memorial Day weekend to participate in this historical race that goes from ski-slope to shoreline. In addition to the race, the annual celebration involves the Junior Ski to Sea Race and the Junior Ski to Sea Parade. Whether renting sailboats and kayaks to explore hidden coves, or sailing around the San Juan Islands to watch for whales, the Pacific Ocean offers boundless possibilities. Fishing here can be a sport, an art, or simply a hobby to pass the time. A plethora of opportunities for fishing can be found at the ocean or any of the mountain lakes and streams. 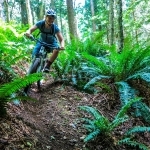 Locals have it pretty good when it comes to accessible, world-class mountain biking. 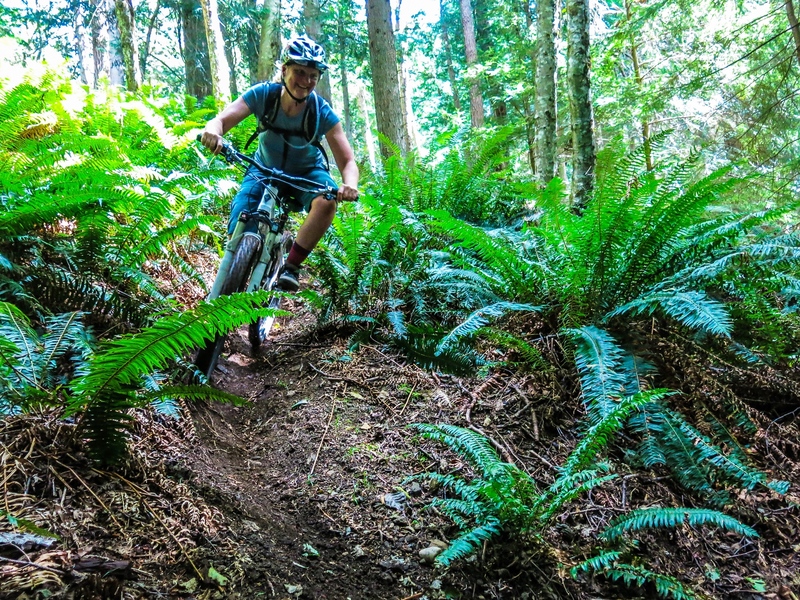 Featuring world-class terrain with professionally managed trails — all in the literal backyard of many Bellingham residents — is Galbraith Mountain. 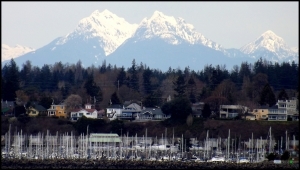 Galbraith’s 50 miles of single-track winds through more than 3,000 acres overlooking the city and Bellingham Bay to the west, the Canadian border peaks to the north, and foothills and peaks of Mt. Baker and the Twin Sisters to the east. 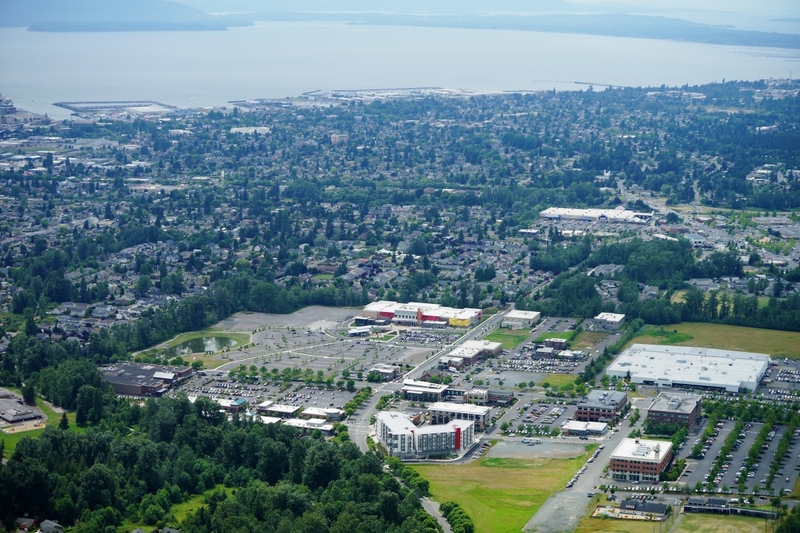 The visitor to Western Washington University is likely to be struck by the university’s location – 250 beautifully manicured acres overlooking Bellingham Bay and the Puget Sound. The grounds are spectacular; an arboretum overlooks the campus, and the university is celebrated for its outstanding sculpture garden, one of the finest in the country. Western, as it is known to students and Bellingham residents, is a relatively small university, enrolling about 15,000 undergraduates. As a result, students get a superior education and college experience at a public-school price. Whatcom Community College (aka Whatcom) is a regionally & nationally accredited, state-funded, two-year college serving 11,000 students annually. Confirming its stature as a national leader in cybersecurity education, Whatcom Community College has been designated by the National Security Agency (NSA) and the Department of Homeland Security as a National Center of Academic Excellence in Information Assurance/Cyber Defense. 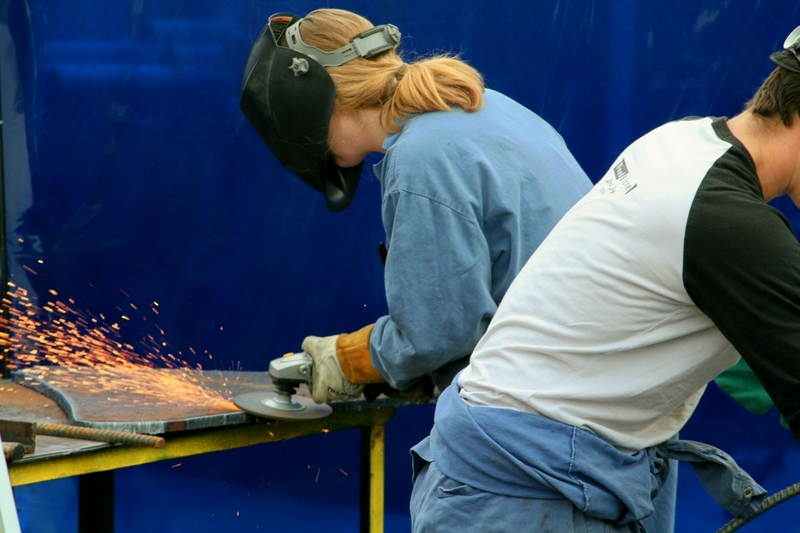 Whatcom offers transfer degrees, professional and technical training programs, as well as basic education, job skills, and community & continuing education classes. 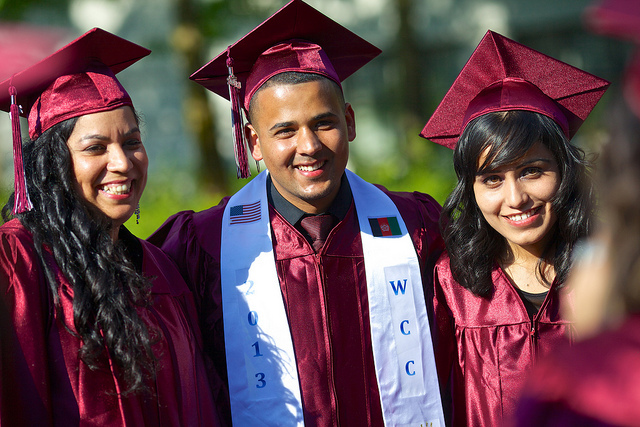 The goal of the Whatcom Community College Foundation is to ensure access to higher education for students from all backgrounds and to promote academic innovation and excellence on their campus. Bellingham Technical College (aka BTC) is a leading educational institution and the only technical college in northwest Washington State. BTC offers high-quality education in a supportive, student-first environment and has been providing skills-focused education to thousands of local and regional students. BTC is highly regarded in the business community for its forward-thinking and ability to anticipate employment needs by preparing students for tomorrow’s jobs. Trinity Western University (aka TWU) in Bellingham is an extension site of Trinity Western University located in Langley BC. Trinity is a Christian University of the arts, sciences, and professions. TWU focuses on allowing working adults to schedule around their jobs in order to graduate with a bachelor’s degree while continuing their careers. TWU offers a BA in Leadership, Psychology, and Project Management and MA in Leadership, TESOL, MBA and more. The Northwest Indian College (aka NWIC) headquartered on the Lummi Indian Reservation in is the only accredited tribal college in the states of Washington, Oregon and Idaho. 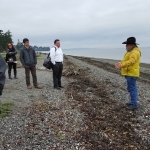 NWIC grew from the Lummi Indian School of Aquaculture, a single-purpose institution developed to provide a supply of technicians for employment in Indian-owned and operated fish and shellfish hatcheries throughout the United States and Canada. NWIC offers bachelor’s degrees in Native Studies Leadership, Native Environmental Science, Tribal Governance and Business Management as well as Associate degrees in Arts and Sciences, Applied Science, technical Arts, Science Transfer and certificate programs. The historic Mount Baker Theatre. Photo by Damien Vines. Bellingham welcomes those with imagination and a passion for the arts. The numerous galleries work closely with Western Washington University, producing and displaying fine local talents. Ranked second in the nation for arts businesses per capita, Bellingham and Whatcom County shine with arts and heritage activities. A combination of nationally touring and locally produced museum exhibits, gallery tours, theater productions and symphony performances provide an active and diverse calendar of events throughout the year. Bellingham’s Cultural Arts District is packed with venues for all interests. Rain or shine, the sidewalks of downtown Bellingham fill with pedestrians on the First Friday of every month for the Downtown Art Walk, featuring the high quality of artists and remarkable variety of venues present in the city’s Cultural Arts District. From 6 to 10 p.m. galleries, boutiques, restaurants, studios and more keep their doors open to showcase a wide array of artwork by local and renowned visiting artists. 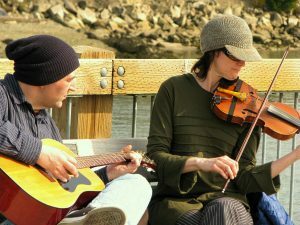 Musicians at Boulevard Park, Carolyn Hartman. Photo provided courtesy of the City of Bellingham. children ‘s exhibits. 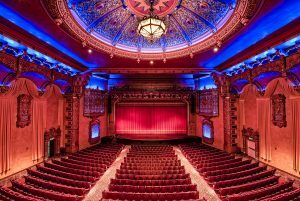 In addition to museums, the historic Mount Baker Theatre is a local treasure; the theater has produced everything from local performances to professional touring acts in its Spanish style auditorium. Taking advantage of the mild climate, various festivals and outdoor fairs take center stage throughout the year. The Northwest Washington Fair, a statewide tradition since 1872, is an example of one such event. The fair showcases music, performances, crafts, and natural produce. Locals participate in the fair, and so do performers and artists from far and wide. The Bellingham Festival of Music stages classical music performed by prestigious orchestras and accomplished vocalists every summer. Combine this with the Outdoor Art Sculpture Collection on the WWU campus and the annual Art Show that is part of the Ski to Sea Festival, and it’s obvious that Bellingham has an excellent and eclectic arts and culture scene. 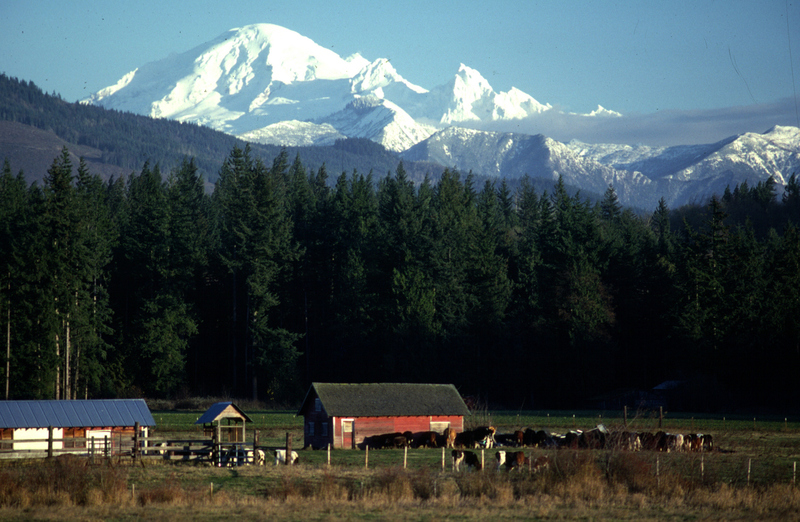 Rural areas in Whatcom County are nearly indescribable. Credit: Jon Brunk Photo provided by Bellingham Whatcom County Tourism. Farm Fresh, Lauren McClanahan. Photo provided courtesy of the City of Bellingham. comes to Bellingham culture. 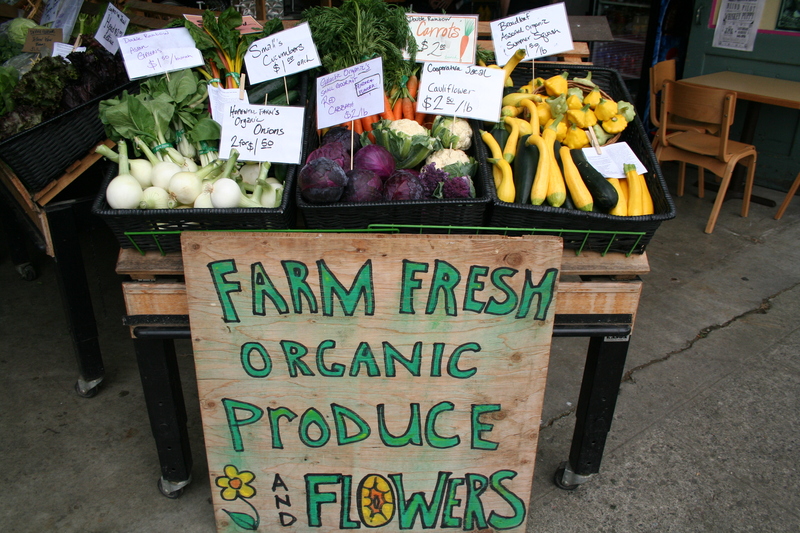 Bellingham has firmly embraced all things farmed, fished, and foraged in Whatcom County, which offers amazing diversity, from oysters, salmon and seafood, to the freshest beef, berries, greens and veggies in North America. 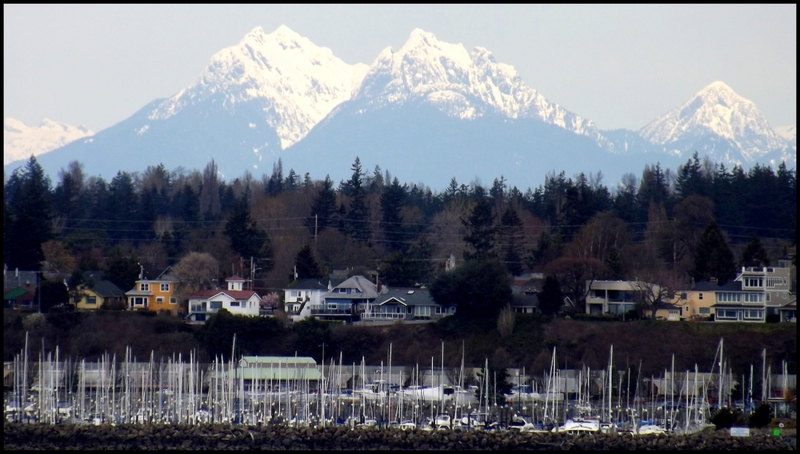 With 130 miles of marine shoreline and 100,000 acres of highly productive farmland, Bellingham and Whatcom County are a fresh food haven stretching deliciously between the Salish Sea and snow-capped Mount Baker. Hungry patrons can discover more than 70 local farms and fisheries open to the public. A wide range of seafood, berries, apples, pears, vegetables, wine, fresh organic meats, cheeses and dairy products tantalize and satisfy every taste bud. What’s for Dinner, Liza Aleksandra. Photo provided by the City of Bellingham. 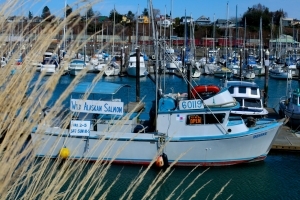 Proximity to the water makes Bellingham a natural seafood destination. On the south side of town, Chuckanut Drive hugs the shoreline as it carries visitors to Taylor Shellfish Farm. Specializing in native clams, geoducks, mussels and oysters, Taylor Shellfish farms 1,700 acres of tidal flats in Samish Bay. Products fresh from the sea are available direct to customers in the farm store, and can be eaten at picnic tables overlooking the water or taken home to enjoy. Aerial view of Barkley Village, a growing, vibrant urban village with a mix of residential, retail, office and civic uses. Cascade Mountains and Mt. Baker. 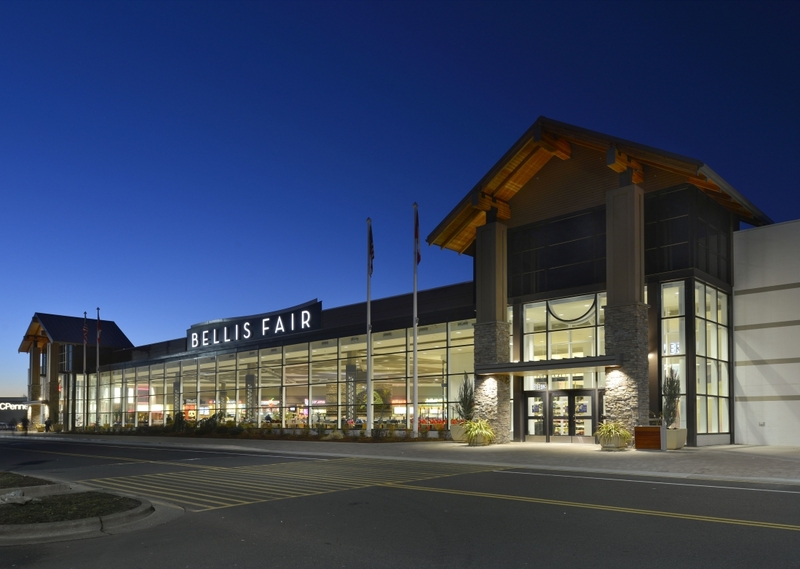 Canadians also come to shop in Bellingham’s modern Bellis Fair Mall, which has sparked a boom in retail and services around the city. 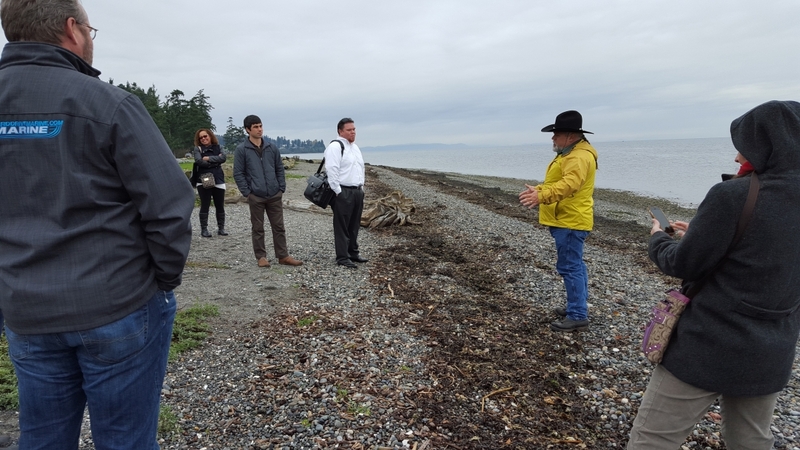 Canadian companies have also begun to cross the border, and in the past several years have created thousands of new jobs in Bellingham. This diverse corporate presence ensures that Bellingham’s unemployment rate remains consistently low and that the employment picture is diverse and balanced.